“E.G. 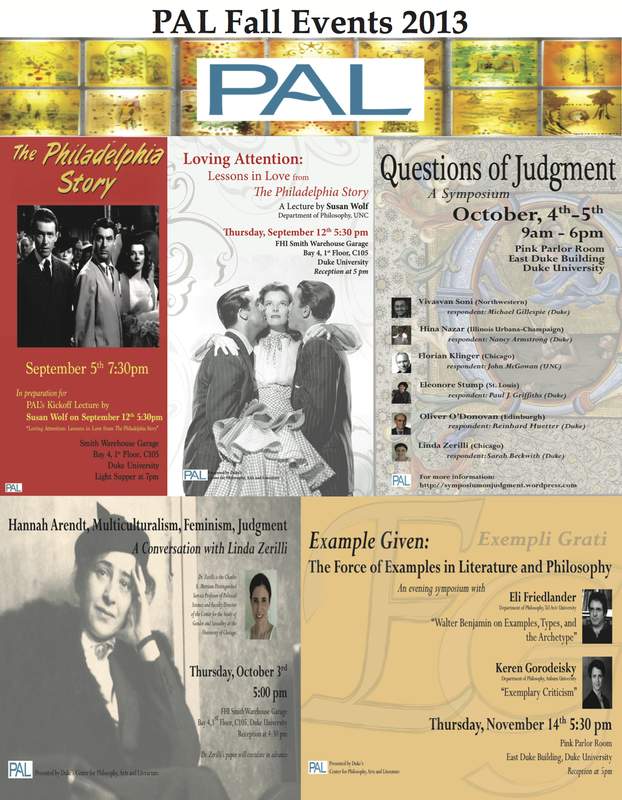 : The Use of Examples in Philosophy and Literature” a Mini- Symposium to explore the work of examples in Philosophy and Literature, with lectures by Eli Friedlander and Keren Gorodeisky. Check back for more information or join our listserv by emailing Kaila Brown with “Join PAL” in the subject.